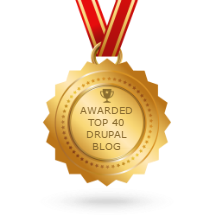 Home » Blog » Announcing Drupal 6.45 (and selected contrib) for PHP 7.2! Announcing Drupal 6.45 (and selected contrib) for PHP 7.2! If you haven't heard yet, PHP 5 will reach the end of its security support (from the upstream project) in December of this year. During DrupalCon Baltimore we announced that we'd be updating Drupal 6 to work with PHP 7.2, and, in September, we announced that we'd be making a big push to get that live with a couple of our customers. So far, we've only tested with a few sites, so I'm sure there's some additional issues and bugs we haven't encountered yet. But we have an initial release of Drupal core and some selected contrib modules that work with PHP 7.2 in our testing. And all our work so far has been released back to the community! We included a shim for the ereg() family of functions that were removed, rather than converting core to using preg_*() functions. This was done because contrib also uses those removed functions and this saves us from having to update many contrib modules. In one or two cases, we modified Drupal core to maintain the PHP 5 behavior of its APIs if that behavior was depended on by "a lot" (subjective judgement) of contrib modules, again in order to have to update fewer contrib. But otherwise, we've based our changes on actual manual testing and confirmed bugs, and tried to make the smallest possible change to fix each problem. Drupal adds a .htaccess file to the public (ie. sites/default/files/) and temporary files directory to prevent PHP files that somehow end up there from being executable when using Apache. However, this .htaccess file won't work with PHP 7 unless modified! One way to do this, is to delete the .htaccess files and then visit the "Status report" on your site, which will re-create the file with the changes necessary for PHP 7. We've considered adding an update hook to do this, but we're worried about wiping out any added changes - see the issue on GitHub and leave your thoughts. You need a patched Drush 8 in order to work with PHP 7. See drush-ops/drush#3706 and you can grab the patch here. Of course, the true power of Drupal is in it's contributed modules! We're committed to updating the contrib modules used by our D6LTS customer to work with PHP 7.2. That said, updating contrib (especially complex contrib) is a lot harder than Drupal core, so we expect this process to take us all the way to the end of the year. There's also a number of contrib modules (generally the simpler ones) that work fine without any changes. Sign up for Drupal 6 Long-Term Support! Have you updated your Drupal site to PHP 7 already? How'd that go? Please leave a comment below! Hm, that isn't exactly right. $a &= $b isn't the same as $a = $b, it's equivalent to $a = $a & $b. Although, perhaps that's what you meant?